The one and only Spirit Football Jersey. This is the one of a kind, iconic oversized garment that features Spirit Activewear's acclaimed large puff print spreading shoulder to shoulder. 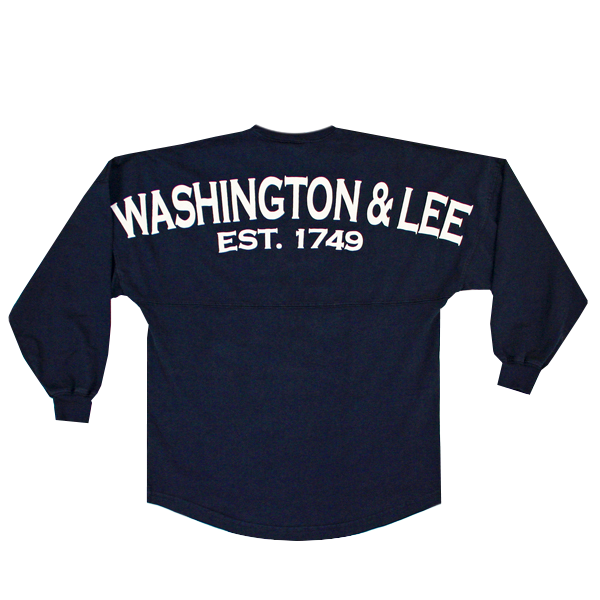 Made from 100% cotton, the design incorporates a dropped shoulder, yoke, sweep bottom, ribbed cuff and is available in Royal and Navy from the Washington and Lee University Store. Back of garment is pictured - there is no graphic on the front. Featured item in the Fall 2013 Alumni Magazine!